Coffee lovers can drink — and drink– to this: Downing four cups of Joe a day isn’t bad for your health, a new study has found. 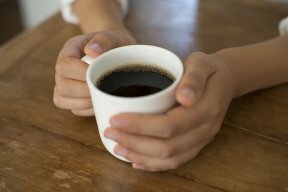 The roughly 400 mg of caffeine found in that amount of coffee is safe for healthy adults, but pregnant women should stick to less than 300 mg, or three cups, a day, according to researchers with the International Life Sciences Institute, whose paper appeared Friday in the journal Food and Chemical Toxicology. ILSI’s North America branch reviewed nearly 740 caffeine-related studies conducted between 2001 and 2015 to reach its results. “This Systematic Review provides evidence that furthers our understanding of caffeine on human health,” said Dr. Eric Hentges, the executive director of ILSI North America. “Also, this review provides the research community with data and valuable evidence to support the development and execution of future research on caffeine safety that will impact public health. The average daily consumption of caffeine across all age groups is 165 mg, about 105 mg of which is coffee, the study found. Last year, a UK study found that drinking more coffee could reduce the type of liver damage associated with eating and drinking too much. That data found that drinking two additional cups of coffee a day was linked to a 44 percent lower risk of developing liver cirrhosis. An 8-oz. cup of brewed java contains between 95 and 165 mg of caffeine. 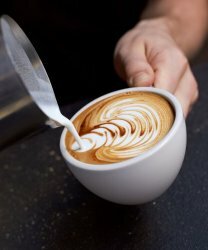 Caffeine consumption in the past has been linked to high blood pressure and heart disease, according to WebMD. Women who consume more than two caffeinated drinks a day are more likely to miscarry during the weeks leading up to conception, the National Institutes of Health found.